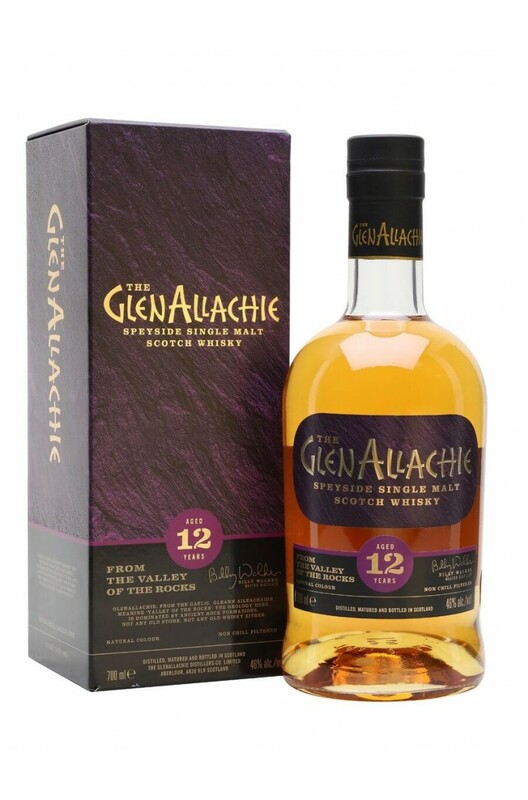 Released in July 2018, the GlenAllachie 12 Year Old is the flagship within the GlenAllachie range. Having been matured in virgin oak, Oloroso Sherry and Pedro Ximenez Sherry casks, this whisky has a distinctive sweet and nutty flavour. GlenAllachie Distillery has been independantly Scottish owned since 2017. Aromas (without water) Butterscotch and honey playing the lead, with raisins and mocha in the background. Palate (without water) Honey, marzipan and bananas, with lashings of butterscotch, raisins and a delicate hint of mocha.